Cheap open jaw flights to USA (New York & Chicago/Florida) €212/£200! Free Air France discount code – €90 off flights from Germany! Cheap open jaw flights to USA (New York & Chicago/Florida) €204/£200! *see UPDATE below* A bit more experienced travelers that are planning to travel US East Coast and want to visit more interesting places on their way can consider updated promotional deal of British Airways (and their partners American Airlines/US Airways). Double open-jaw flights to USA from Europe are available already for €212! The cheapest solution is when departing from Oslo, Stockholm or Copenhagen to New York and returning from Chicago back to Berlin. (via London). Another attractive solution would be to fly from Scandinavia to New York and return from Florida back to UK. (London, Manchester, Edinburgh) now available already for £223. *UPDATE* – This deal form Europe to USA from just €204 is still available we are also adding new interesting routings such as from Scandinavia to New York with return back from Boston to London for just £200! Please refer to below updated booking samples if you are looking for the cheapest available solution to New York and other US cities.. If you are interested in this promotional deal with British Airways please look for travel dates between 1st of November till 16th of December 2015 and from January till end of March 2016. This is based on travel date of your outbound flight to New York.To check your connection possibilities from your hometown we recommend to use Skyscanner tool. To check some affordable accommodation you may consider hotel booking agents such as Hotelopia. They are now also offering 6% promotional code for additional discount off hotel rooms. More details to be found here. In some cases you may book your ticket with long layover in London on your return flight so you may skip last leg however we recommend this only if you travel with hand luggage. Please remember that it is however not possible to skip first leg of your outbound flight (routed via London) otherwise rest of your itinerary would be cancelled. 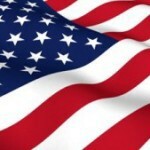 Booking sample of cheap open jaw flights to USA from Europe for just €204 below. In this case you would be flying from Oslo to New York on 8th of November. Your return flight from Chicago back to Berlin would take place on 21st of November 2015. Booking sample of cheap open jaw flights to USA from Europe with return back to UK for just £200 below. In this case you would be flying from Oslo to New York on 8th of November. Your return flight from Boston back to London would take place on 23rd of November 2015.